Honda Cars Philippines, Inc. (HCPI) gears up for the launching of the All-New Pilot this month. The much-anticipated luxury SUV makes its way to Philippine shores with sophisticated looks, advanced technology, and top-of the-line safety and utility than ever before. The All-New Pilot is set to elevate the premium SUV market with its debut. First revealed at the 2015 Chicago Auto Show in North America, the All-New Pilot was re-engineered and redesigned from the ground-up. 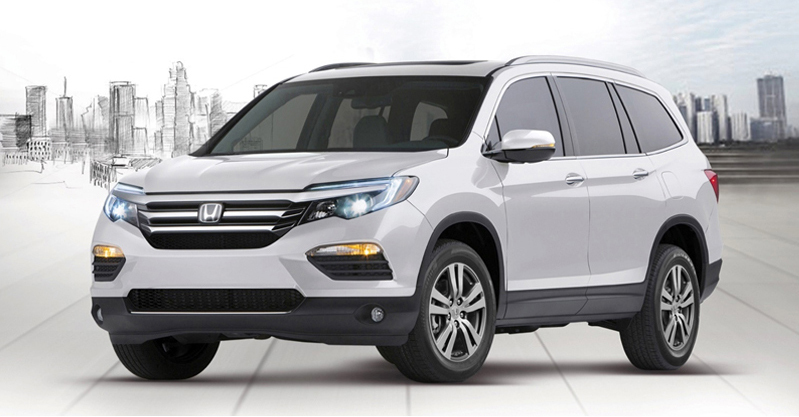 As Honda’s premium SUV, the All-New Pilot brings with it a sleek new design. The 2016 model was restyled to sport a modern, yet commanding and muscular form by incorporating new premium exterior features such as the brighter and more efficient Signature LED Lighting for the front and rear. Honda’s newest offering has a smooth aerodynamic shape with sharp character lines. Increasing personal sophistication for driver and all passengers, Premium styling is carried over to the All-New Pilot’s interior with new soft touch materials, LED ambient lighting and Honda’s Display Audio system, making it the most well appointed Pilot ever. 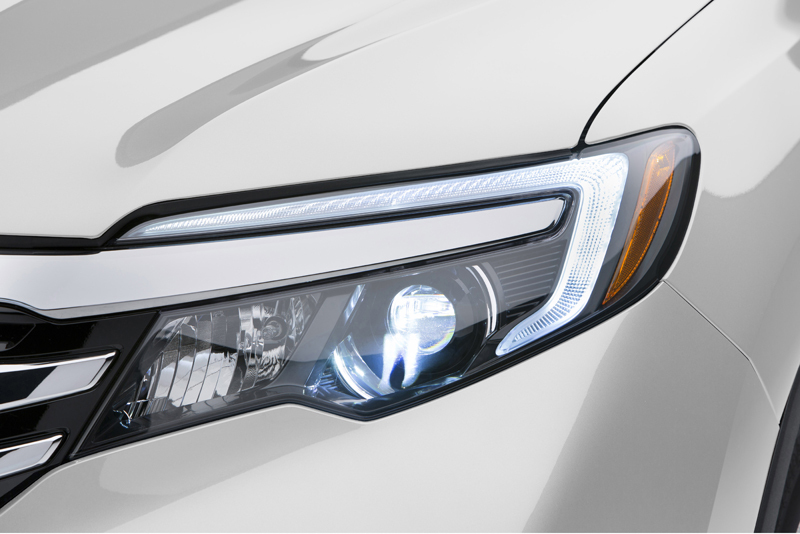 The All-New Pilot is adorned with awards such as the 2015 IIHS Top Safety Pick+. The All-New Pilot earned good ratings in five crashworthiness tests (small overlap front, moderate overlap front, side, roof strength and head restraints) and superior rating for front crash prevention. This was made possible by equipping the All-New Pilot with Honda Sensing, an advanced driver-assistive technology to prevent or effectively respond to dangerous driving situations. 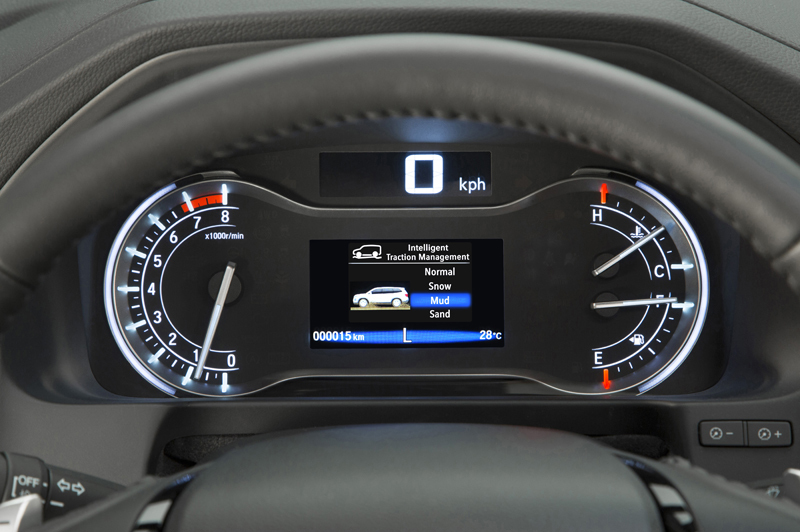 Using a monocular camera and radar behind the front grille, several safety functions have been incorporated in the All-New Pilot such as the Adaptive Cruise Control (ACC), Collision Mitigation Braking System (CMBS), Lane Keeping Assist System (LKAS), and Road Departure Mitigation (RDM). The All-New Pilot is equipped with a more powerful direct injected 3.5-liter SOHC i-VTEC Earth Dreams Technology engine. Together with Honda’s Variable Cylinder Management (VCM) cylinder deactivation technology, this allows it to deliver more refined and fuel efficient performance than ever. Power is sent to the ground using a completely new Intelligent Variable Torque Management (i-VTM4) All Wheel Drive system that delivers more dynamic handling and confident all-weather performance. This system is paired with an all-new selectable Intelligent Traction Management system featuring Normal, Mud, Sand, and Snow modes. Garnering reviews that befittingly translate the All-New Pilot’s top-of-the-line quality, the All-New Pilot promises to deliver the best experience anyone can get from a premium SUV. The Pilot was also awarded the Kelley Blue Book’s 2016 Best Buy Award Winner which attests to the overall value of the car. Honda dealerships are already accepting reservations for the All-New Pilot. For more information, visit www.hondaphil.com or any Honda dealerships near you.